​​The last morning it turned out to be a super great and warm day. There was almost no wind at all so we went by motor the last 80Nm. We even took out our sun madrass that we let manufacture in Portugal. Charlotte was enjoing the warm wheather a lot after our last days with cold wet weather. 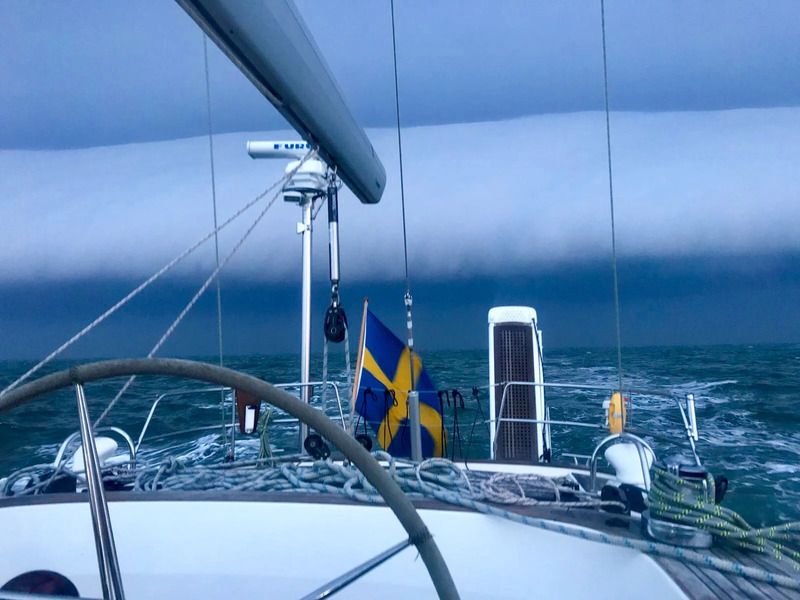 We did 1770Nm in 10 Active sailing days and nights. Its a quite tuff tempo, but we are happy to have done it so we could test TrinityIII, and our selfes also. All went good and we are happy to have a boat like TrinityIII, she is stabil and rough when you need her as most. We can relie on her and she with us. 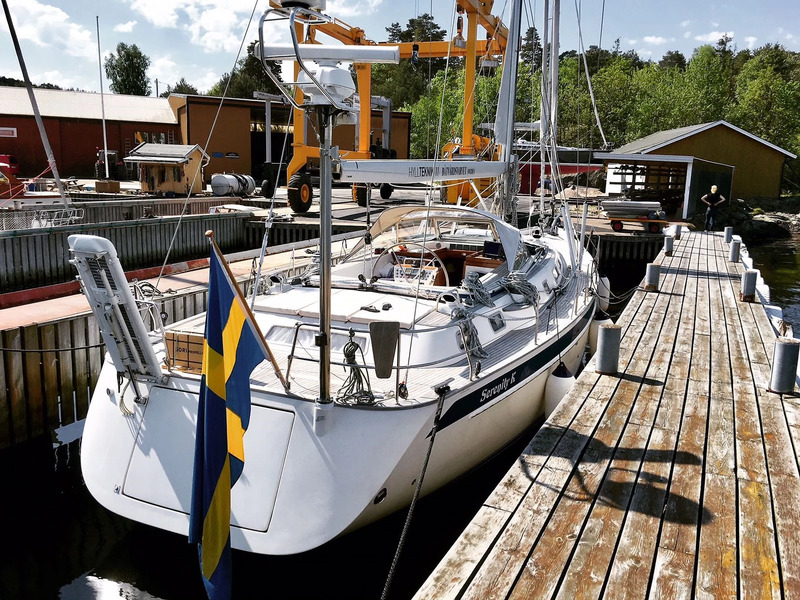 Just Before we arrived in Sineviken we stopped by Hallberg Rassy Parts. We said hey to our friends there and swipped some sleeping madrasses that we ordered before we went to Lissabon. Short pitstop for some hours and repairing time in Dunkerque. 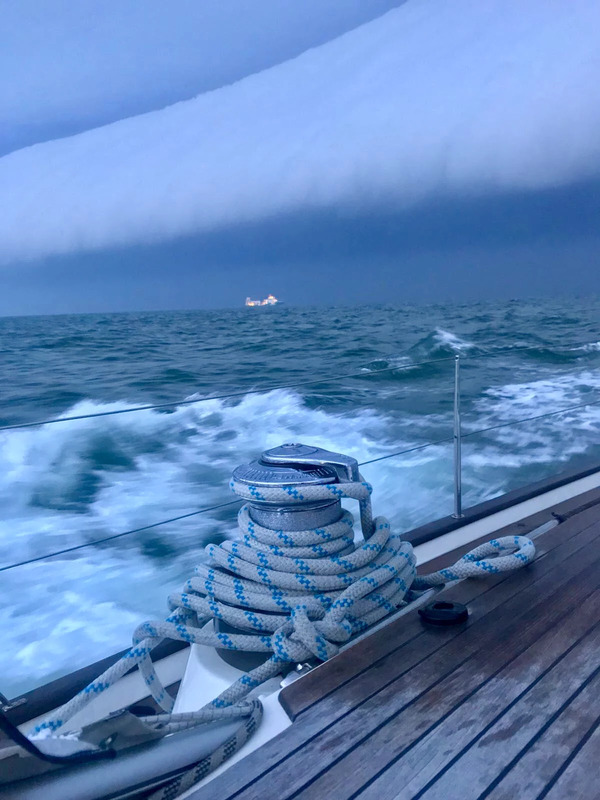 ​​On our way from Brest to Dunkerque we again had some rough weather. On the second day we couldnt roll out our genoa. So now we have a half repaied mainsail and a genoa we couldnt roll out. Only the cutter remained. We arrived in Dunkerque early in the morning after 2 days at sea. 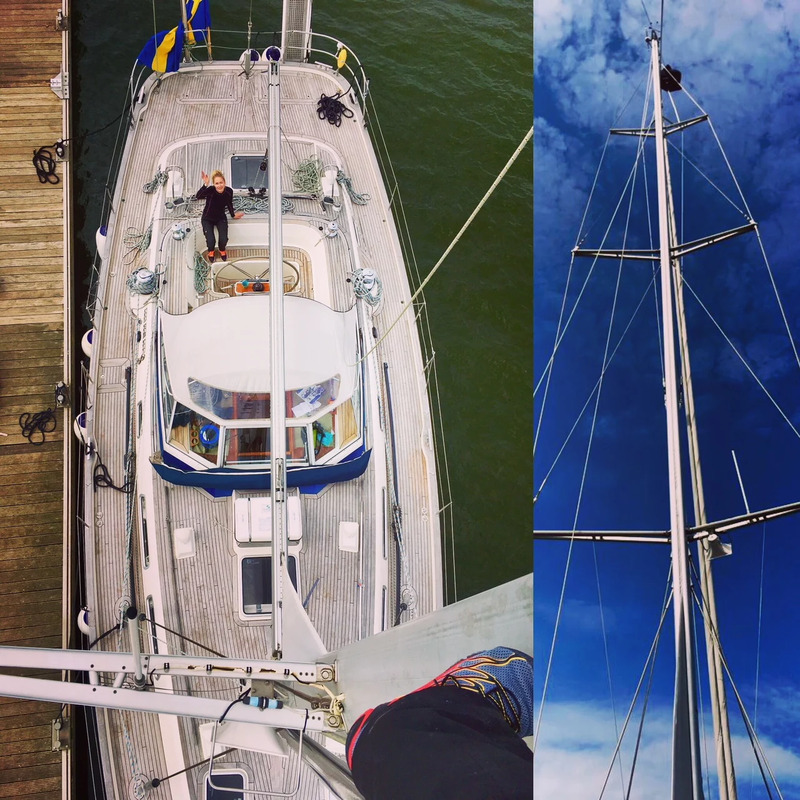 Charlotte send me directly up in the mast so I can check the furling system. I saw that the top roller was not okey. I greased it during she tried to roll it out and in. Finally it start working again...thank goodness, we have some major distance left to Orust, Sweden. After the repair we went and bought some food. We were really tired after some lack of sleep but decided to leave harbour already the same afternoon. Our goal was now to reach Sweden in one leg, because we was 2 days after our sqedule. 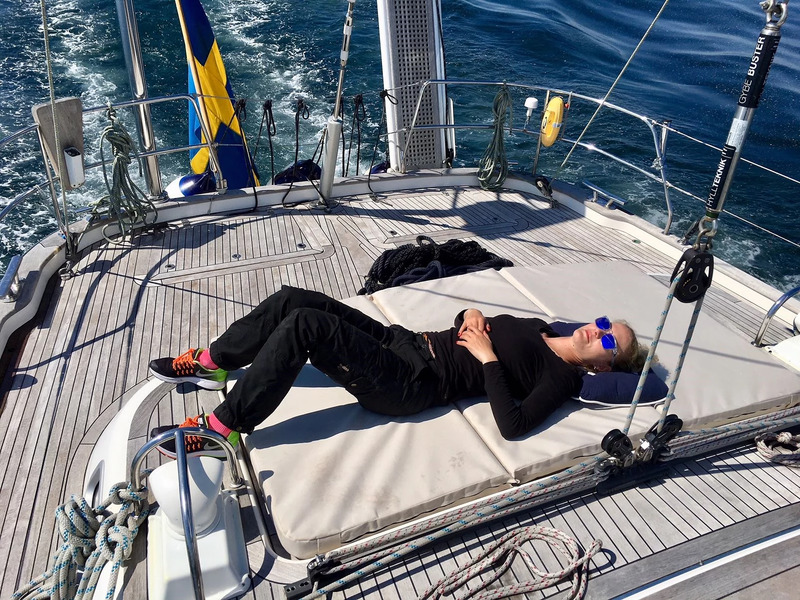 We left harbour in the afternoon and Charlotte took a nap directly after leaving harbour so she could keep up with the night.